A diagnosis of cat cancer in a beloved cat can make your heart flip-flop but don't let anxiety cloud your thinking. "Cancer" covers a variety of diseases and some can be treated successfully. The key to making an informed decision about your cat's future is to get a definitive diagnosis and a thorough explanation of all the options available. Where cancer is concerned, early diagnosis is the key to effective treatment. However, many types of cancer are masters of stealth, so you may not see any signs. But others are detectable in their early stages. Alert your vet if you notice any of the following signs...which frequently signal cancer. Lumps and bumps that don't go away, especially in the mammary glands of un-spayed females or females that were spayed after they were over a year old. Inflammation or crustiness on the tips of the ears, eyelids, or nose that doesn't disappear in a few days. Dental disease that only involves one or two teeth. The lifespan of most cells that make up the feline body is counted in weeks...in some cases, days. In a healthy feline body, cells reproduce at a rate just fast enough to replace recently departed cells. But occasionally, the production line short-circuits and some cells reproduce excessively, creating a tumor (neoplasm). Benign tumors grow slowly and don't spread beyond a localized area. Malignant tumors grow rapidly, invade neighboring tissue, and may spread to other parts of the body (metastasize). Malignant tumors are what we typically refer to as cancer. The most common feline tumors are those that affect the circulatory system such as lymphoma (a disease of the infection fighting lymphocytes)and various types of leukemia (diseases of bone marrow that affect the blood). The second most common feline tumor...generally appearing as a lump under the skin...is sarcoma (soft-tissue tumors). Mammary-gland tumors (mammary carcinoma) are the third most common type. Another common type is squamous-cell carcinoma (tumors of certain types of skin tissue) in the mouth or on the tips of the ears or nose. 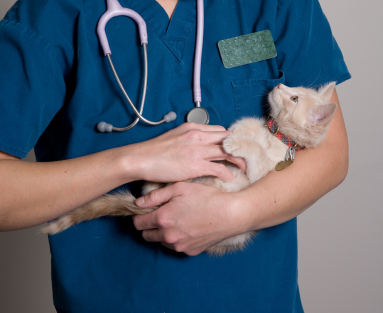 If your vet suspects cat cancer, he can perform tests to diagnose the ailment. If cancer is detected, the vet will likely run additional tests to stage the cancer...meaning to determine how far the disease has progressed. If you've discovered a lump on your cat, your vet will probably want to analyze tissue from the growth. They may take a cell sample in one of two ways: by inserting a needle into the tumor and withdrawing cells into a syringe (fine-needle aspiration) or by excising a larger tissue sample (biopsy) from the tumor. If the cells aren't cancerous, you can relax. If they are...additional tests will be needed. Your vet will want to check the size and texture of lymph nodes near the tumor to determine if they've been infiltrated by cancer cells. If your vet suspects lymphoma or leukemia, he will analyze your cat's blood or bone marrow to see if the cancer cells are circulating throughout the animal's body. If the cat cancer is a type that spreads to the lungs, your vet may take chest x-rays. 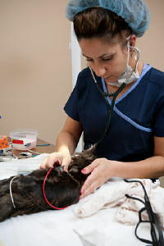 He may also use ultrasound to check the cat's abdomen for tumors. 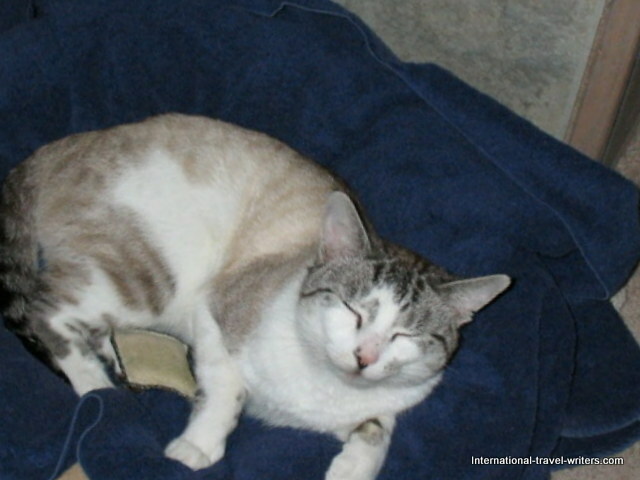 The treatment options for your cat depend on diagnosis and stage of the disease. Your vet will advise you on which treatments may improve the quality and length of your cat's life. Some kinds of cat cancer can be cured with surgery, some can be treated with radiation, and some can be treated medically. If your cat has a sarcoma that doesn't appear to have spread, the vet may be able to cure the cat cancer by surgically removing the tumor along with a band of normal looking tissue around its perimeter. A pathologist will check the cells at the edge of the excised tissue to see if they're normal. If they are, there's a good chance the surgery was successful at removing all the cancerous cells from the area. If surgery can't remove all of the cancerous cells such as when the tumor is next to a bone), the vet may suggest additional treatments to kill the remaining cells. Radiation therapy often kills cancer cells that have not spread beyond the tumor site. Vets have found that a series of small doses of radiation...as opposed to a few large doses...works best to kill cancer cells while minimizing damage to normal cells. They believe if you give multiple small doses, the normal cells tend to recover in between, and the tumor cells don't recover as well. If the cat cancer has spread to various other sites within the body, local therapies such as surgery and radiation aren't as useful, but giving medications that target and kill rapidly dividing cells (chemo-therapy) might be effective. Chemo-therapy is quite effective against lymphoma and somewhat effective against mammary gland tumors but some tumors may not respond to chemo-therapy at all. In the attempt to help your cat you may hear of various diets and herbs that cure cancer but unfortunately none of these therapies have been proven to work and while some are harmless, others contain ingredients toxic to cats. After your vet has diagnosed and staged the disease and described the treatment options and prognosis for each approach, take time to think about what is best for you and your cat. You need to factor in not only your cat's prognosis for quality and quantity of life but also your ability to manage the treatments. While surgery is fairly routine, radiation therapy or chemo-therapy treatments require larger commitments of time, emotional energy and money. If you feel like you need more specialized information, ask your vet to refer you to a veterinary oncologist ( a vet with special training and certification in treating cancer) or a practitioner with a special interest in oncology. If you're considering starting on a course of treatment, make certain you understand the treatment goals. Oftentimes, a complete cure isn't possible, so the goal may be to improve the quality of your cat's remaining life, and hopefully, extend the length of that life to some degree. Remember, there are some less expensive items available from other sources such as this offer.... Save on Pet Medications The selection is good and prices competitive even when there is not a promotion. Or, you may find a vendor closer to home. For some people, giving their pet a chance at a few extra good months makes the treatment worthwhile. Remember, there are no right or wrong choices when confronting cancer...only the choice that's right for you and your cat. There are some tumors that definitely respond well to treatment and many cats that respond to treatment have an excellent quality of life improvement. Do you have a cat story to share?...Simply click here to go to that page! © Copyright 2010-2013, Cat-Health-Detective. All rights reserved. This website is for information only. Consult your veterinarian for medical assistance. Take a look at our other website for travel information! Check out our affiliates and see what they have to offer! Get 15% OFF sitewide with code SCHOOL18 at Only Natural Pet's Back-to-school Sale! Only Natural Pet ...has products chosen for their holistic approach plus vitamins, supplements and more. 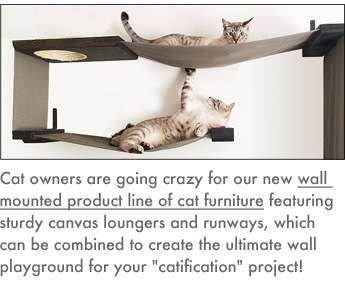 Entirely Pets...is our supplier of Feliway pet products. Also have Homeopet, topicals, etc. EntirelyPets Daily Deals - New Deals Discounted Every Day! Pet WellBeing...offers natural health and wellness supplements for your pets.